Leica MP3 is the perfect remake of the original 1957 MP, considered to be the holy grail of Leica cameras. Down to the finest detail with modern amenities, built in light metre and ASPH lens. 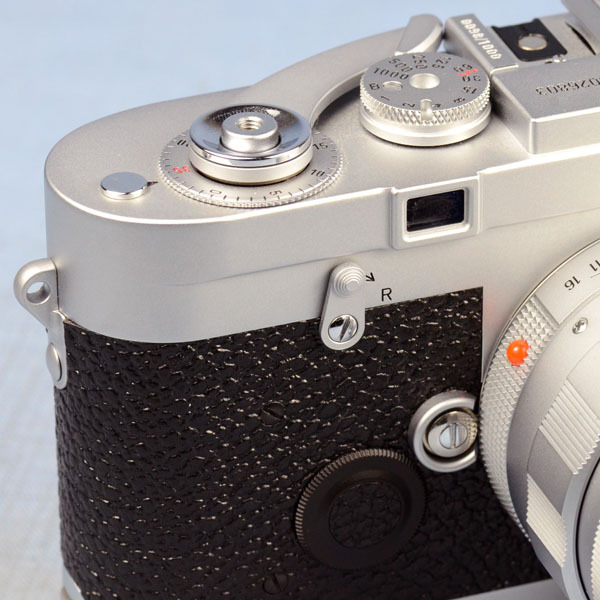 Small details such as external counter, long rewind engagement lever, vulcanite style leather, triangular lugs, and frame around the windows are what sets this camera apart from any other special edition that Leica has ever made. Not to mention it includes one of the finest lenses of all production, the 50mm 1.4 ASPH in a retro scalloped focusing mount. This is a great alternative and a better performer over the tens of thousands or hundreds of thousands that you would spend on an original MP. These sets were originally $7,000, then $10,000, then $12,000 and some reaching up and over $20,000. A sure bet and a great long term investment. I think that this set will average $20,000 to $25,000 in the next 5 to 10 years. I have one in my personal collection and I would never let it go!